South Africa is an extremely popular tourist destination for both nature lovers and hunters. Every year, thousands of hunters from Europe and the United States travel to the region for 'trophy hunting' and bring home dead animals to display on their walls as souvenirs. Nearly all wild species are available for trophy hunting – even protected species like elephants – it's just a question of the animal's price-tag. Lions are bred on some 200 farms for trophy hunting in South Africa. They are usually reared by hand and become accustomed to humans. About 1,000 captive lions are killed in trophy hunts each year, mainly by wealthy foreigners. 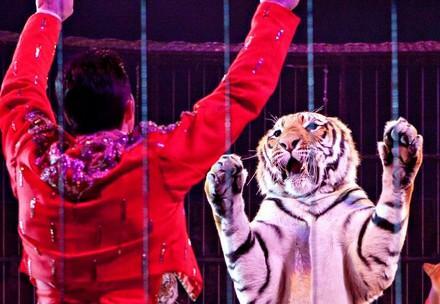 Today, around 6,000 captive animals face this cruel fate – fifty percent more than in 2010! SAY No to canned hunting! The most extreme form of trophy hunting is known as 'canned hunting'. Most of the victims are lions. They are directly served up to their hunters: the animals are held in fenced areas and simply shot. 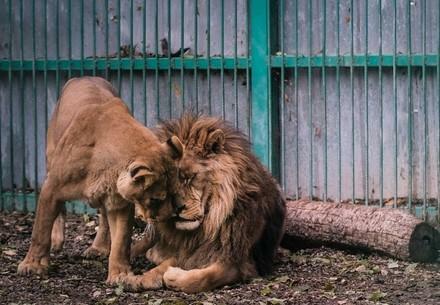 Because these lions are bred on farms and reared by hand, they are not shy of humans. Occasionally, they are attracted with bait and sometimes even sedated. Anyone can go and hunt lions in South Africa – usually, it is not necessary to own a hunting licence or have proven hunting experience. This means that many lions are not killed by the first bullet and experience an agonising death. Many of the young animals have already served as tourist attractions. 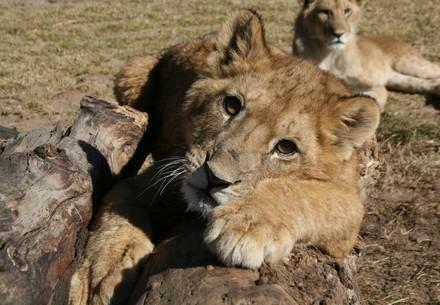 Unwitting visitors to these farms pay to cuddle young lion cubs. People can pet them, take photos with them and take them for walks. Most tourists are unaware that in this way they are supporting a horrific industry – an industry that even many hunting associations reject as unethical. Lions reach trophy age at between four to seven years and are then offered to hunters for shooting. In many cases, the ‘hunt’ is not carried out on the same farm where the animal was bred. Instead, the lions are transported to other areas and shot there. Most breeding and hunting stations in South Africa are located in the provinces of Free State, North West and Limpopo. The larger the wallet, the larger the trophy. A male lion with its magnificent mane costs about € 25,000, while animals with particularly dark, thick manes go for up to € 45,000. Lionesses can be shot for €5,000 or less. On some farms, even cubs are offered for slaughter! 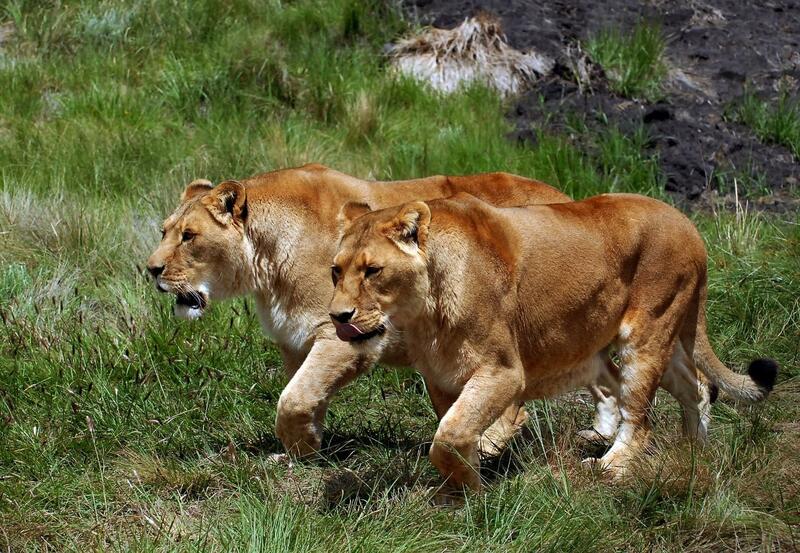 Lions can be hunted with rifles or crossbows. Often, many shots are needed to kill the animal.